At 365 Office Solutions Ltd we appreciate that selecting the right solution is important but more so perhaps is who is supplying, installing and supporting your new system. At 365 we are committed to providing quality service, and only recommend equipment that we trust 100%. 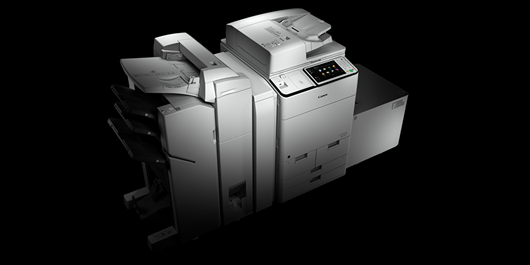 We provide comprehensive service support for Canon, Ricoh and HP office equipment. As well as our support agreements, we also offer service on a time and materials basis and a fixed call out charge which covers all traveling and time on site for the initial call. Through our own engineers and network of trusted independent specialists we are able to offer service support nationwide. • Only genuine parts and toner used. • Fixed pricing for the term of the agreement. • No minimum contract term. • Contract termination without penalty. 365 Office Solutions Ltd range of industry leading, best-of-breed digital photocopiers and multi-functional devices is made up of nothing but top machines from trusted, established brands. We stock models from Canon, Ricoh and HP. Everything from small desktops to large production print models can be found in our extensive and independent catalogue. 365 Office Solutions Ltd has an extensive portfolio of print-only devices ranging from small home office and workgroup printers to specialist, full colour wide-format machines. Our industry-leading hardware combines functionality with cost economy. If you run a commercial print room, 365 OfficeSolutions Ltd has a commanding range of high volume, high performance models capable of delivering rapid and professional-quality printing into your workplace. Find the latest cutting-edge production printers in our extensive catalogue. If you are unhappy with your current service provider, why not give us a call to discuss moving your service to us!